Off With Their Heads is really pushing their new album Home. The video of ‘Start Walking’ is already the third that they have put out for the promotion of their new album. Their album will be reviewed at Metalrage.com in a short while, so you can read what the reviewer at hand thinks of this album and if it was worth shooting all those vids. 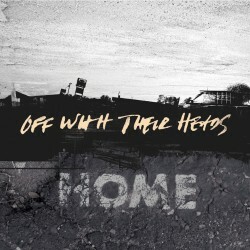 Off With Their Heads is now busy with touring the US. For now no dates in Europe are planned.